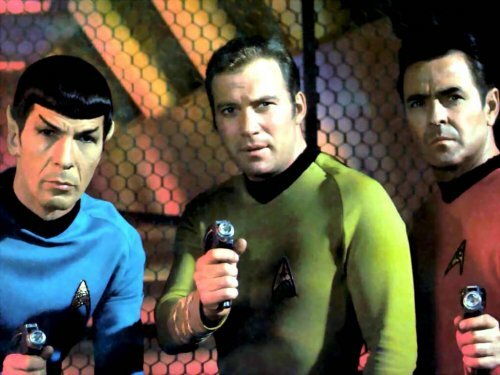 Forty-two years ago, Star Trek first aired. A Saturday midnight ritual - since TV Land doesn't air the show anymore. We do still have TNG on Monday nights. Getting married has turned me into a Geek - we even have a Riker doll on display. 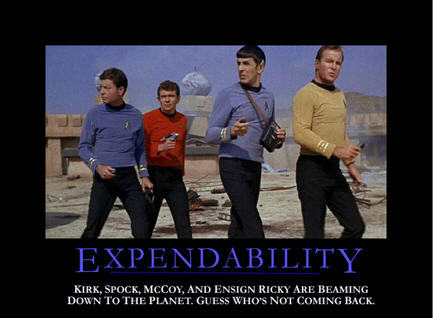 Red shirts never come home - unless it's Scotty.